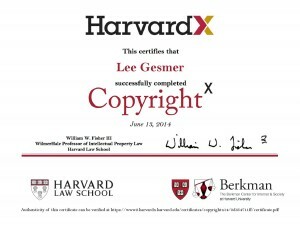 I am proud to have been a member of the CopyrightX class of 2014. If you have any doubts about the merits of online education, apply to take this course in 2015. You will be pleasantly surprised at how effective this form of education can be.